Aviation enthusiasts...prepare for takeoff! 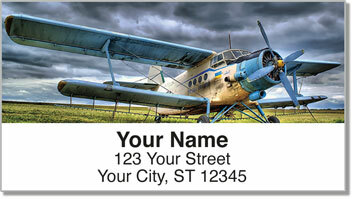 The high-flying photography on these return address labels is right up your runway. Four different types of aircraft, both modern and classic, decorate a unique set of labels. From vintage fighter planes to sleek flying machines - this design is perfect for amateur aviators and professional pilots alike. 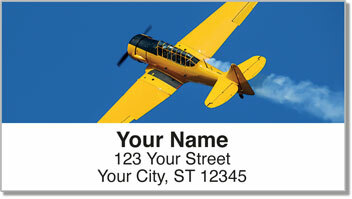 The diverse assortment on Plane Address Labels from CheckAdvantage allows you to put your passion for aviation on every envelope and package you send. Plus, they'll save you time when preparing outgoing mail. 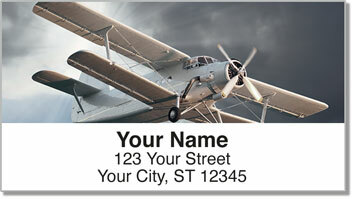 Get your very own Plane Address Labels right now! 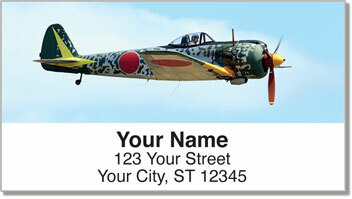 You can also order matching personal checks with this same sky-skimming design!